William Edward (Bill) Aylett was of convict ancestry, his grandfather, William Aylett having been transported to Tasmania in 1845 for the theft of two beehives. Born at Wynyard in north-western Tasmania on 15 November 1900, Bill Aylett was the sixth of twelve children of Edward Aylett, a farmer and furrier, and Harriett Susanna, née Matthews. In 1914 the Aylett family moved to Waratah, the centre for the Mount Bischoff Tin Mining Company, where Bill’s father managed a coffee palace. Bill attended school in Waratah, and from the age of sixteen worked at the tin mines, and on the osmiridium fields of western Tasmania. On 10 July 1920 he married Ruby Victoria Gladys Goldsmith at St George’s Church of England, Burnie. About this time, he worked as a driver in Wivenhoe, a small settlement near Burnie. After working as a miner and timber contractor for the state coalmine at Wonthaggi in Victoria, Aylett returned to Tasmania, establishing himself as a mail contractor at Deloraine. By the early thirties he was farming at Mole Creek. He would become a life member of the Mole Creek branch of the ALP. In February 1937 Aylett stood for the Tasmanian House of Assembly seat of Darwin, campaigning against the Commonwealth’s Loan (Farmers’ Debt Adjustment) Act 1935, and the revaluation of soldier settlers’ blocks. Placed fourth on the ticket, he was not elected. In October, Aylett tried for the Senate. Despite the disapproval of the Burnie Advocate and the fact that on election day the car he was driving hit a woman on her way to a polling booth in Launceston, he topped the poll. Aylett took his seat on 1 July 1938 and made his first speech on 26 September, when he drew on his own working experiences to discuss mining disputes. In 1942 he told the Senate that on one occasion, when working in the state coalmine in Victoria ‘among men of all nationalities, including many good Australians’, he had been ordered by management to lie on his stomach ‘in cold water under hanging rock which was likely to fall at any moment, and scrape out the mullock which had accumulated there’. When he refused, Aylett was ordered out of the mine. However, because his action had the support of ‘the genuine coal-miners’, he was back at work the next day. Gil Duthie, MHR for Wilmot (1946–75), wrote that he and Aylett were influential in persuading the coalminers to return to work during the 1949 strike. As Senator A. J. Fraser said in the Senate in 1946: ‘Senator Aylett and I grew up among coal-miners, and played football with them; and, therefore, we know something of their troubles’. Aylett also represented the views of the Tasmanian man on the land. One day in the Senate in 1944, he produced a neatly packaged rabbit, recommending it as meat for wartime Australians. By 1947, he had disowned the virtues of the rabbit—no doubt out of respect to the farmers, whose pastures it was nibbling without benefit. He spoke also of Tasmanian apples and pears, the island state’s flax and magnesium industries, its marketing of peas, potatoes and carrots, and the potential danger of the steps at the front of the New Norfolk Post Office. As a member of the Joint Committee on Rural Industries, he dissented from the committee’s recommendation that a women’s land army be formed, on the grounds that there was a shortage of female workers. From March 1942 until September 1943, Aylett served as an assistant to the Minister for Labour and National Service, E. J. Ward, on matters relating to Tasmania, and in 1943 again topped the Senate poll for Tasmania. From 1941 to 1951 he served as a temporary chairman of committees in the Senate. 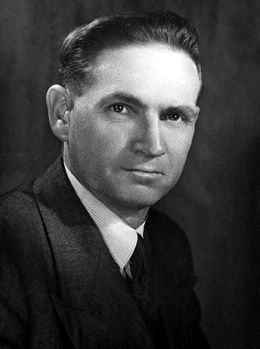 For two periods (1945–47 and 1954–58), Aylett was a member of the ALP’s Tasmanian executive, of which he was vice-president in 1947. Prior to 1951 he was also a delegate to seven federal ALP conferences and represented Tasmania on the Federal Executive at its three meetings in 1945 and the seven between 1948 and 1950. Once described by Labor’s Clyde Cameron as ‘an odd character’, Aylett continued to be re-elected. At the double dissolution election of 1951, he won the eighth seat out of nine. In 1952 he was initially dropped from the ALP’s 1953 team, but, with the death on 16 January 1953 of Liberal senator J. H. Chamberlain, he was returned to the ticket, in preference to Bill Morrow. Despite being at the bottom of the Labor ticket, Aylett attracted 13 659 more first preference votes than did R. J. Murray, who was third on the ticket, and gained double the vote of Justin O’Byrne, who had been placed second. These achievements were disparaged within the party. The Tasmanian executive censured Aylett for his lack of cooperation during the campaign, when he had handed out non-official how-to-vote cards urging that he be given first preference. In a private letter to long-serving MHR Fred Daly in June, Murray claimed that Aylett’s vote was gained ‘by treachery, fraud and wilful deception’. Nonetheless, the following year Aylett was again on the party’s state executive. At the time of the ALP Split in 1954–55, Aylett was a staunch supporter of H. V. Evatt, and in 1958 he was re-elected to the Senate from second place on the ALP ticket. I will be a sunshine senator. Until that’s up I have no fears. Up in the Queensland sunshine. In December 1959 the Tasmanian executive advised the party’s Federal Secretary that there were no grounds on which any charge could be laid against Aylett. Much the same view was held by the Menzies Government. From the mid-1950s Aylett contributed little to proceedings in the Senate, with the exception of the Matrimonial Causes Bill whose divorce clauses he opposed on the basis of his Christian beliefs. In October 1962 the ALP’s Federal Executive expressed its ‘grave concern’ at Aylett’s ‘continued unwarranted absences from Parliament’. Aylett did not contest the Senate election of December 1964, and left the Parliament on 30 June 1965. In one of his last speeches, he supported improvements to the airport at Coolangatta on the Gold Coast, and, with some feeling, discoursed against the ‘roguery, thieving and robbery’ of ‘some members of the legal profession’, whom he compared with Ned Kelly. The speech caused Labor’s Senator Benn to say how much he would miss Aylett’s ‘fighting speeches’, adding that ‘eight, nine or ten years ago, when we were dealing with contentious subjects, if Senator Aylett got out into the passage one could say: “Look out, he is taking his coat off and it will not be very long before he is throwing punches” ’. Aylett, who claimed to have been rejected for service in World War II, left Australia only once—when serving as a member of the Australian delegation to the Commonwealth Parliamentary Association Conference at Nairobi, Kenya, in 1954. On his return, he drew attention to the exploitation of working people overseas. In retirement, he continued his involvement with local affairs, serving as president of the Palm Beach Association (1964–70) and as president of the United Council of Progress Associations of Gold Coast City (1969–70). He died at Palm Beach on 10 August 1976, his wife having predeceased him in 1963. His son survived him. One of Aylett’s brothers, Charley Bischoff (‘Tinny’) Aylett, was a member of the Tasmanian House of Assembly (1946–64). The references made to Aylett in the Senate after his death were brief, compared with the tributes paid to former senators, Tom Bull and George Whiteside, who died at about the same time. The Mercury noted in its short obituary that Aylett, with his move to Queensland, had ‘upset his party and political tradition’ and was remembered largely for ‘controversy about his absenteeism from Parliament and his electorate’. Tasmania, Convict Department, Conduct registers (William Aylett), CON33/66, AOT; Margery Godfrey, Waratah–Pioneer of the West, Municipality of Waratah, Waratah, Tas., in association with Morvale Investments, Burnie, Tas., 1984, pp. 6, 29, 36; Harry Reginald Paine, Taking You Back Down the Track is About Waratah in the Early Days, Harry Reginald Paine, Somerset, Tas., 1994, p. 51; Advocate (Burnie), 28 Jan. 1937, p. 9. Advocate (Burnie), 20 Feb. 1937, p. 6, 21 Oct. 1937, p. 2, 25 Oct. 1937, p. 7. CPD, 26 Sept. 1938, pp. 171–4, 5 Mar. 1942, p. 96; Gil Duthie, I Had 50,000 Bosses: Memoirs of a Labor Backbencher 1946–1975, A & R, Sydney, 1984, pp. 77–8; CPD, 7 Aug. 1946, p. 3828. CPD, 18 July 1944, p. 61, 1 May 1947, pp. 1799–1800, 6 Dec. 1939, pp. 2145–7, 22 Apr. 1940, pp. 272–4, 25 June 1941, pp. 340–4, 1 July 1941, pp. 576–9, 28 Nov. 1940, pp. 247–8, 14 May 1942, pp. 1132–3, 15 Mar. 1950, pp. 732–40, 11 Sept. 1942, pp. 218–19, 19 Oct. 1938, p. 880; CPP, 41/1941, 60/1941. Richard Davis, Eighty Years’ Labor: The ALP in Tasmania, 1903–1983, Sassafras Books and the History Department, UTAS, Hobart, 1983, pp. 124–8; Patrick Weller and Beverley Lloyd (eds), Federal Executive Minutes 1915–1955, MUP, Carlton, Vic., 1978, pp. 233, 275, 294, 304, 308, 369–70, 376, 394, 409, 422, 440. Clyde R. Cameron, The Confessions of Clyde Cameron 1913–1990, as told to Daniel Connell, ABC Enterprises, Crows Nest, NSW, 1990, p. 112; Mercury (Hob. ), 29 Apr. 1952, p. 1, 10 Feb. 1953, p. 3, 11 May 1953, p. 2; ALP, Tasmanian section, Executive Committee minutes, 15 June 1953, NS1630/1/48, AOT; Letter, Reg Murray to Fred Daly, 9 June 1953, Fred Daly Papers, MS 9300, box 95, NLA; Davis, Eighty Years’ Labor, p. 52. Mercury (Hob. ), 18 Sept. 1959, pp. 1–2; CPD, 7 Oct. 1959, pp. 938–9; Mercury (Hob. ), 23 Sept. 1959, p. 4; CPD, 22 Sept. 1959 (R), pp. 1207–8, 29 Sept. 1959 (R), pp. 1510, 1517. ALP, Tasmanian section, Executive Committee minutes, 7 Dec. 1959, NS1630/1/49, AOT; Aylett, Senator—Removal of office to Queensland—Report on, A463, 1965/1172, NAA; CPD, 25 Nov. 1959, pp. 1840–1; ALP, Federal Secretariat, Federal Executive minutes, 11 Oct. 1962, MS 4985, box 124, NLA. CPD, 20 May 1965, pp. 979–87. CPD, 16 Sept. 1942, p. 327, 10 Mar. 1959, pp. 268–73; Courier-Mail (Brisb. ), 5 Feb. 1963, p. 3; CPD, 17 Aug. 1976, p. 6; Mercury (Hob. ), 11 Aug. 1976, p. 2. This biography was first published in The Biographical Dictionary of the Australian Senate, vol. 3, 1962-1983, University of New South Wales Press Ltd, Sydney, 2010, pp. 107-110.